The Amazon Fire TV and Stick have been revolutionary devices, and they have changed the home entertainment scene. These devices have become very popular due to their ability to offer unrivaled home entertainment, coupled with the fair prices at which they come. With an Amazon Firestick, you can easily turn your TV to a smart TV running on the popular Android platform. You’ll then be able to stream services such as Netflix, Amazon Video, Hulu, BBC iPlayer, Spotify etc. However, these services are quite expensive, something that has led to cord cutters looking for ways to watch their favourite programs without denting their pockets. This has led to the story of a jailbroken Firestick. The term ‘jailbreaking’ basically means getting superuser access to a device. This will give you unrestricted rights and privileges to manage and use the device in a way that is not accessible to regular users. The term has been used to refer to iOS being modded to circumvent iTunes Digital Rights Management on music, TV, and Movies. On an Android device, the term ‘rooting’ is used, but they basically mean the same. While jailbreaking a smartphone or regular Android boxes means changing the operating system, it doesn’t extend to that when it comes to Firestick. Actually, you can’t really ‘jailbreak’ a Firestick device. When people talk about a jailbroken Firestick, it usually means installing third-party apps that let you enjoy unlimited content without having to pay. Particularly, it means installing Kodi on your Firestick. 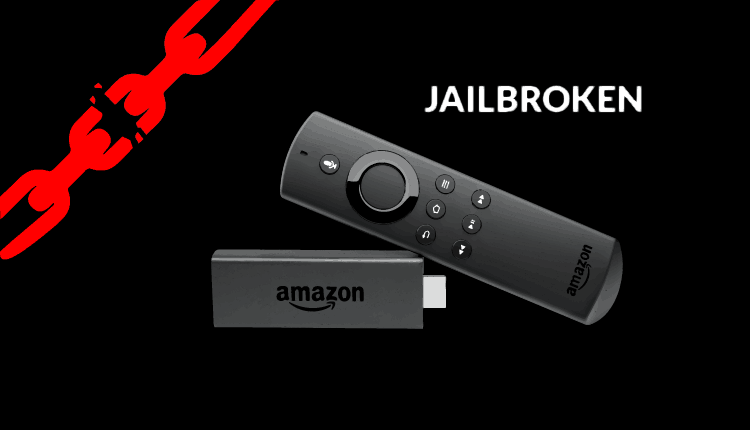 You may have come across some vendors selling jailbroken Firesticks. What this means is not that they have really rooted the devices, but rather just installed Kodi and other third-party applications. Remember that Firestick is based on Android, the most popular operating system with literary millions of apps. Installing third-party apps on Firestick is not hard, and you will need to know how to do it yourself if at all you are going to avoid paying the heavy subscription packages for streaming content. You, therefore, need to steer away from ‘Jailbroken Firestick’ vendors since you’ll just pay extra for something that you can do within a few minutes, and we’ll show you how. Is it Legal and Safe to Jailbreak Firestick? As a Jailbroken Firestick is completely legal, Jailbreaking your Firestick with Kodi also it is. The process does not involve editing code on the device’s operating system, and so you don’t even need to worry about your warranty. However, the safety of doing so is a grey area. Kodi was initially supported in the Amazon App Store, but that changed some few years back. According to an Amazon Spokesman, “Amazon supports and helps fund industry efforts globally to reduce online piracy and protects customers through policies that promote legal access to creative content”. “Devices that violate our policy against promoting, suggesting the facilitation of, or actively enabling infringement or unauthorized access to digital media or other protected content are prohibited from sale on Amazon, and apps that infringe third party intellectual property rights are not permitted in the Amazon App store.” In 2017, Amazon also banned fully loaded Kodi boxes from being sold on their e-commerce platform. While Kodi itself is legal, it supports the installation of third-party Kodi addons that facilitate the access of illegal content. Consumption of such content is illegal, and it should be completely avoided unless you follow the right privacy and security policies. To avoid getting into trouble with the authorities, you need to use Kodi with a reliable VPN. Such a VPN will encrypt your traffic and then tunnel it to a server that will then give you a new IP address. Your ISP, government, or any other third-party won’t be able to see what you are doing when using Firestick; your online activities won’t be traced back to you. You, however, have to choose your VPN carefully as not all VPNs can guarantee your privacy and security. Some VPNs aren’t private, secure, or fast enough. Your Firestick VPN should be registered in a country with friendly privacy laws; also should keep zero usage as well as connection logs, use AES-256 encryption, and offer great speeds. It should also have a huge server network, as well as work with streaming services like Netflix, Hulu, BBC iPlayer, Amazon Prime Video, etc. The VPN that meets all the above conditions, and the VPN we’d like to recommend for Kodi and Firestick is IPVanish. On subscription, you will be offered a money-back guarantee and the possibility to use many devices simultaneously with one single account. We have also managed to get an incredible discount for all our readers. Get 57% of IPVanish now! Before you can install Kodi on Firestick, you first need to allow Firestick to install third-party apps. While at the Firestick home screen, open settings and select device. Click “Get” to download and install Downloader on your Firestick or Fire TV. Now, choose the 32-bit option, as it is the recommended version for Firestick. Your download should now begin. Don’t go back to the Home screen yet. Letting Firestick return you to the Downloader app, you will be given an option to delete the Kodi install file; deleting it will help free up some space on your device. Kodi on its own is not very useful unless you just want to organise your home media content. To be able to watch Movies, TV Shows, Live TV, Live Sports etc. for free and in HD, you need to install third-party Kodi addons. These addons are contained inside various repositories, but they are not hard to install. At BestDroidPlayer, we have a lot of Kodi addon installation guides and tutorials. To get you started, we created a detailed list of the best working Kodi addons 2019, together with tutorials on how to install them. However, before you can start installing third-party Kodi repositories and addons, you need to make sure that you have a reliable VPN like IPVanish, and that it’s connected to a server. Jailbreaking Firestick with Kodi opens a new world of entertainment; the software is able to offer content of any type in HD free of charge. With the guidelines above, you should be able to jailbreak Firestick easily by yourself. You can also check out our guide on the best apps for Firestick 2019. However, remember to use Kodi and all these other third-party apps with a VPN at all times. You do not want to sacrifice your privacy and security as well as risk legal action just for free content. With IPVanish, you will have a great starting point, and your privacy will be guaranteed! But, off course feel free to know the Best VPNs for Firestick and picking your favorite one from the list. Hope this article on What is a Jailbroken Firestick, have enlightening you. Please share this with all your friends.